A few years ago, when I was reading a lot of non-fiction, I came across an author with a really refreshing take on architecture. Instead of moonscaping to have a home, he believed that we should live inside the land. He produced quite a few books, hand-written, with lots of great illustration. 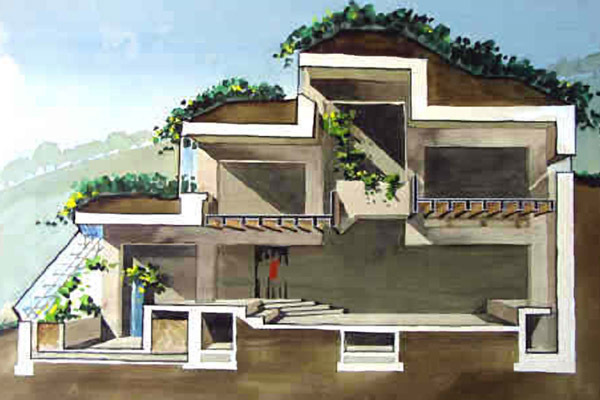 I think the above image best depicts his vision for a home. I hope it catches on Mac. Rest in peace.